Winter is officially with us. Though we have bursts of sunshine in the morning, it is still a very chilly start to the day. This is what I wore on a cold day – Melbourne’s dress code is normally black and this outfit is not any different. 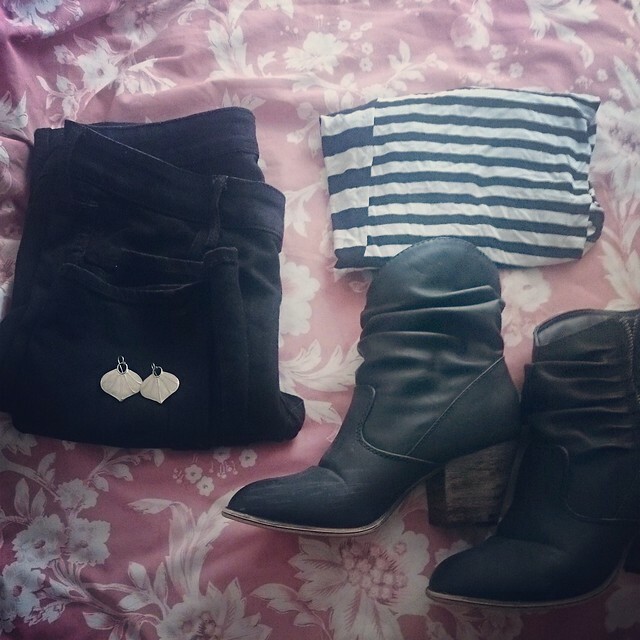 I chose some black jeans with a black and white striped top and some black ankle boots with a heel topped with some earrings for an accessory.